Learn to make friends with unicorns, griffins and dragons. Fill your life with the magic of legend. Would you go abroad without a guidebook? No. 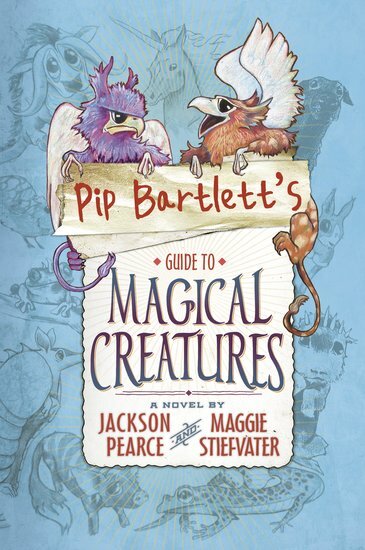 So if you want to hang out with magical critters, first get Pip’s advice. Her trusty guide is the place to find tips on: getting haughty unicorns to talk. Washing a Griffin’s stinky claws. Saving the town from an invasion of cute Fuzzles. (They burst into flame when startled. Eeek.) Pip can talk to mythical creatures. Plus, her aunt runs a vet’s clinic for them. So they know their stuff – and they’ve scribbled it into the margins of this book. Which, just so you know, is a team effort involving two mahoosive teen authors. Full of the cutest big-eyed monsters you’ve ever seen in your life. 1. A Unicorn’s horn is the purist weapon on earth. 2. A juvenile HobGrackle can not fly until 8-9 months of age. 3. The hooves of a Miniature Silky Griffin smell like erasers! 4. Unicorns are very bad listeners. 5. Bitterflunks have rubbery skin. I loved the book, it was so cool!